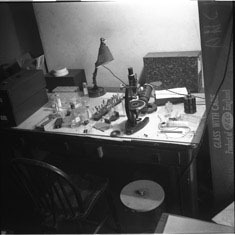 John Finch joined Rosalind Franklin as a PhD student at Birkbeck College, London in 1955 studying the structure of viruses by X-ray diffraction. 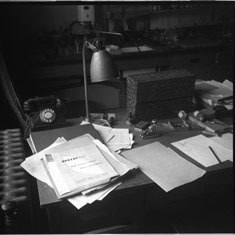 He came to the new LMB in 1962 with the Birkbeck group, which was now led by Aaron Klug after Rosalind’s death in 1958. 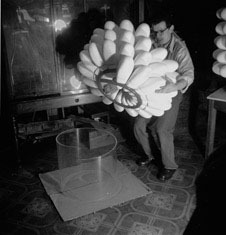 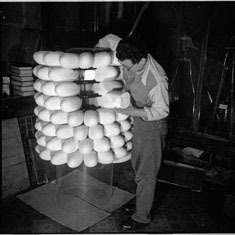 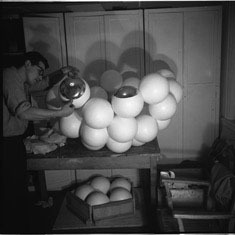 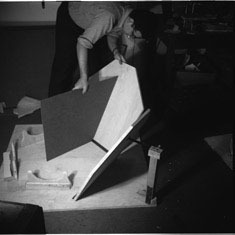 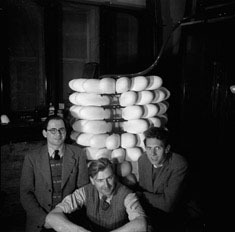 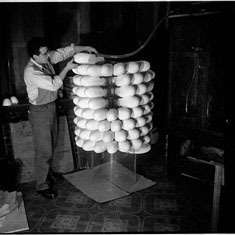 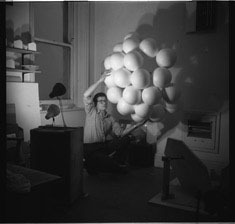 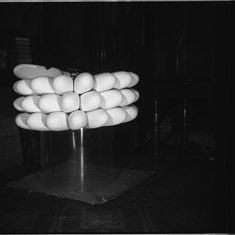 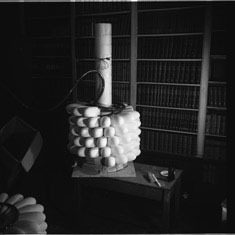 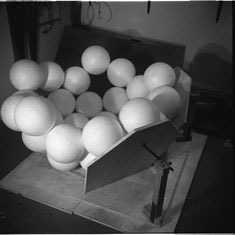 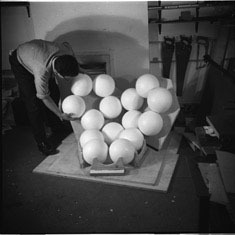 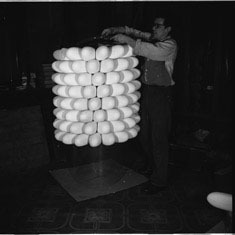 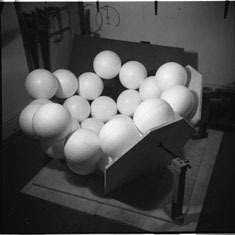 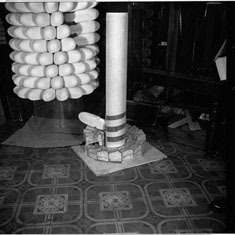 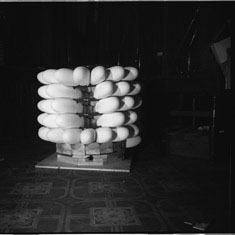 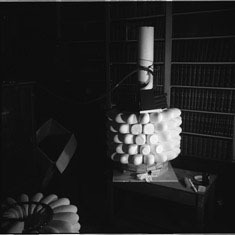 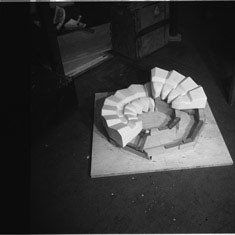 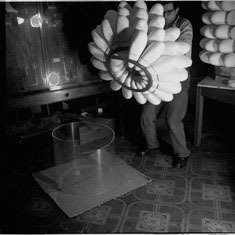 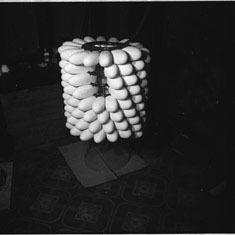 In 1958 John took a series of photographs of the construction of the Tobacco Mosaic Virus (TMV) and Poliomyelitis models, which were being built for the International Science Pavilion, Brussels World Exhibition, 1958, by the sculptor, John Ernest, who had been commissioned by Aaron. 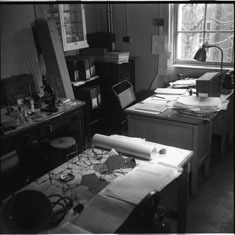 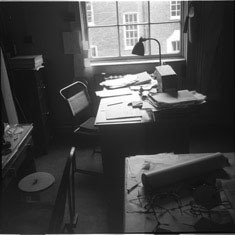 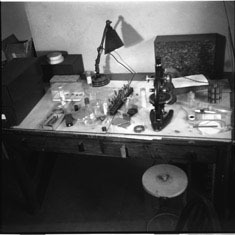 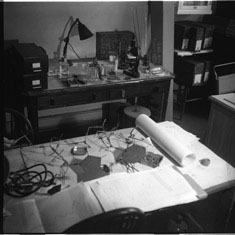 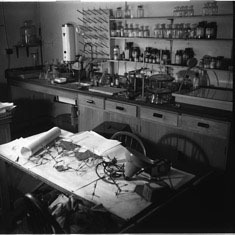 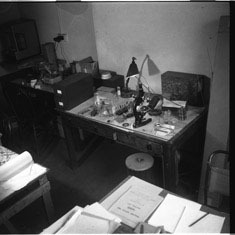 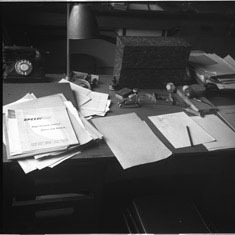 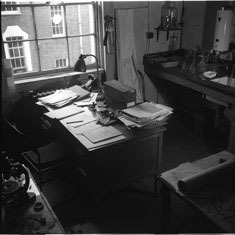 John also took photographs of Rosalind’s desk and laboratory, at 21 Torrington Square, London shortly after she died on 16 April 1958. 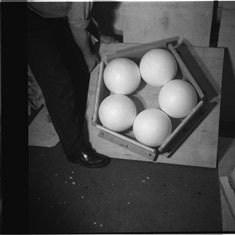 These are also included in this collection. 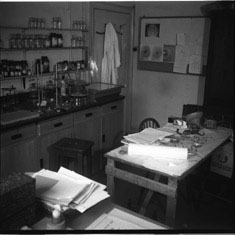 John donated his original negatives to the LMB Archives, 18 November 2009.